This first appeared in Samesame.com.au on 24 Octoer 2012. 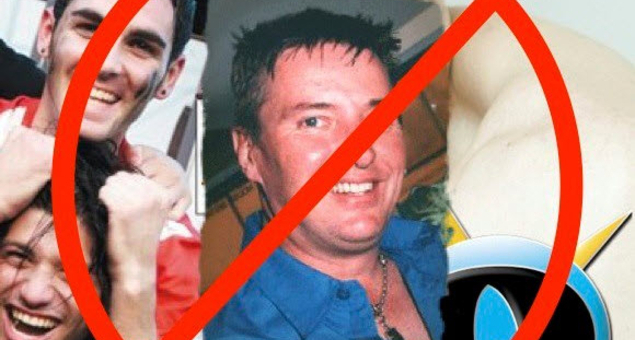 The owner of Queensland gay magazine QNews is facing a community-driven boycott campaign as suspicion about his involvement in the defunding of a local gay men’s health network intensifies. Rumours have circulated for some time in the Brisbane LGBT community that Ray Mackereth met with key government officials to convince them that Queensland Association for Healthy Communities (QAHC) did not deserve the millions it gets from the state. Then as Campbell Newman’s team swept into power earlier this year, QAHC’s funding was swiftly cut off, seemingly with little or no consultation with its stakeholders in the gay and HIV prevention communities, ostensibly as part of the new government’s controversial cost-cutting measures. Concerned that Mackereth aimed to profit from QAHC’s demise, as the government’s new HIV awareness campaign is now advertising in QNews, the recently-created LGBT activism blog The Stirrer went public with the allegation yesterday, under the title ‘Gay Businessman Claims He Brought Down Queensland AIDS Council’. The story, which quotes unnamed ‘well placed sources’ close to the situation, spread quickly via social networks to a mixture of responses yesterday. Its author was a previous contributor to QNews, who says he left the magazine as the QAHC situation developed. Several commenters via social networks backed up the article’s central claim, saying Mackereth had “bragged” about his involvement in QAHC’s defunding. “He’s a traitor to our community,” read a typical comment, and it wasn’t long before a Boycott QNews Facebook page appeared. Noticeably absent from the blog’s exposé is a reaction from Mackereth himself. Speaking to Same Same yesterday evening, he flatly denies all the allegations in the article, describing them as “completely untrue” and the work of “people with a vendetta” against him and his business. Last night he was even considering legal action, eager for the article to be taken down. Mackereth’s lengthy statement now appears on the QNews website, in which he says he has always been a supporter of QAHC, and has never lobbied the government for its defunding. “Let me state very clearly – not only are these allegations total nonsense, they are just plain wrong and downright offensive,” he reacts. In issue 299 of QNews an article entitled Our Own Gay State of Origin was published that contained erroneous facts about Brisbane Pride Festival. The Brisbane Pride Festival would like to set the record straight. Brisbane Pride Festival does not have an exclusive deal with any publication, Sydney based or otherwise. We do have a media sponsorship agreement with Star Observer. Star Observer successfully tendered for and won this position. QNews was invited to tender and chose not to be part of the process that may have enabled them to be the media sponsor for this years festival. As a sign of good will QNews was even contacted by phone to remind them of the deadline, and still they did not submit a tender. The deadline for invitees to accept was within the legal guidelines of tender law and QNews amongst other invitees had ample time to reply. The deadline was not Christmas as suggested in the article. One condition of this tender was that any indication of exclusivity from the media sponsor would not be tolerated by Brisbane Pride Festival. Brisbane Pride Festival has the right to accept any offers of support and or advertising specials that they deem fit. Brisbane Pride Festival has to this date sent all media releases to all publications of interest including QNews. To date Qnews is the only publication not to print these press releases. Brisbane Pride Festival has received a commitment of support for Queensland Pride magazine, who despite Brisbane Prides Festival’s media sponsorship with Star Observer see fit to bring to their readers issues of community interest. Brisbane Pride Festival has a strong and positive relationship with both Star Observer and Queensland Pride. Brisbane Pride Festival Committee is male heavy at the moment but not male exclusive. The committee has a proud Lesbian member who is in charge of womens interest and youth. Brisbane Pride Festival works in close conjunction with City Lickers, Scarlet and LHAG, all devoting their efforts to the advancement of the Lesbian and womens community at large. Brisbane Pride Festival Committee has had six members resign within this financial year. Each of these resignee’s have been contacted and stated that at no time were they ostracised by the rest of the committee. All have resigned for personal reasons, not Pride related reasons. The Brisbane Pride Festival Committee is not dwindling, in fact it has grown by one member more than has resigned over the last three months. In conclusion Brisbane Pride Festival is a legal, compliant registered Non For Profit organisation, headed by a team of hard working volunteers dedicated to representing the interests of the entire greater LGBTIQ community. Brisbane Pride Festival is bound by a constitution that ensures the protection of the community we represent and has serious legal consequences if found to be non compliant. It is Brisbane Pride Festival’s view that the entire community regardless of which letter of the title if any they fall under are represented to the best of the committees ability. It is the committees view that articles such as the one in QNews do not represent the community or indeed the spirit of it. It is Brisbane Pride Festival’s opinion that rather than harbouring support for the community in all its forms, this article is in fact divisional and derisive of the community. It is also insulting to a hard working team of volunteers who give up of their own time to sit on a committee, volunteer to assist at events and of course the members themselves. In striking at Brisbane Pride Festival in such a vicious way, it is the Committees opinion that QNews has struck at the community it so loudly likes to claim it represents. Brisbane Pride Festival’s, records, books, financials and minutes are open to public scrutiny from its members, who are the community. Brisbane Pride Festival is owned by its members, QNews is owned by one single business man. Brisbane Pride Festival is a non for profit association committed to supporting the community and its needs by a constitution. QNews is a commercial business designed to create a single owner with an income. For the reasons listed above and the irresponsible use of journalistic integrity in allowing an article so incorrect to be published Brisbane Pride Festival is no longer able to support or endorse QNews as a true community publication. Queensland is under threat with Sydney wanting to take over the stakes of gay media. In recent years, many mainstream independent publications have disappeared or been swallowed up by larger Sydney based companies. Gay media is no different and right now Queensland has the battle of its life to retain one of the last independent gay magazines in Australia. Sadly we do not have the large subsidies offered by Sydney and Melbourne businesses to help run magazines in Queensland, where business is hurting and still trying to recover from the devastation of floods, cyclones and the negative on-flow effect to tourism, mining and other major economic driving forces. One Sydney gay paper recently offered advertisers free adverts to Queensland businesses to win over “all their advertising” to effectively try and wipe out QNews. Thankfully almost all those who tried advertsing with them have returned to QNews after receiving little or no response from their Sydney magazine advertising. A senior Queensland bureaucrat also pointed out that Queensland organisations funded by the Queensland Government could be in breach of state policy if they spent government funds in magazines that were not distributed predominately in Queensland unless they were targeting areas such as tourism, and that just one complaint to the CMC could see them liable to serious repercussions. QNews is now proudly the only independent magazine servicing Queensland, based in Queensland and owned by Queensland, with 100% of resources churned back into our community. Whilst the bigger companies fight to try and seduce Queensland businesses and community groups, the Sydney based papers objectives are to simply take money from Queensland to feed back into their bottom line in Sydney. This means we have our own battle raging and QNews will not lay down. areas. QNews understands the importance of servicing a state where more people live outside our capital city than in it, a state population distribution unique to only Queensland and Tasmania (who both have the highest suicide statistics). QNews has also created community resource websites such as www.qgroups.com.au that supports over 120 groups and services & provides FREE connection with our community at large. QNews actively works with all levels of government to help improve our community. QNews is able to exist thanks to a team of people, some of whom have volunteered their efforts for over ten years, including doctors, lawyers, psychologists etc. They work hard to help make this part of the world a better place. Recently QNews was shocked to learn that after many years of support, some community groups have been seduced by “exclusive deals” with Sydney based magazines, a similar situation to the one that nearly caused the second financial collapse of Mardi Gras. Exclusive deals mean they exclude QNews from being able to help or assist such groups. As an example, Brisbane Pride Festival (BPF) has been supported by QNews for many years, especially last year when they found themselves in financial difficulty. QNews provided BPF large amounts of free advertising and also staged a Fair Day Brisbane Carnivale, directing part of the profits back into BPF, with the rest being donated to youth suicide prevention. Additionally, QNews sold the BPF guide that lead to a $7,000 cash donation to BPF. Immediately after the festival we wrote to BPF and congratulated them on their financial recovery and hard work, whilst also offering assistance with the 2012 festival, asking how we could offer our resources. QNews strongly urged BPF to associate with and seek support from all gay & straight media outlets, including QNews, to help re-build their brand and to avoid exclusive deals. We were told by inside sources BPF would do everything possible to help facilitate working with a Sydney based publication that portrays itself as a Queensland publication when it really only distributes a minimal amount of magazines Brisbane only. QNews was advised that we would have to tender to spend QNews resources to sponsor BPF and this would need done before Christmas, leaving only a few days. BPF got their way and now have an exclusive deal with a Sydney based publication. It is estimated that the new BPF gay newspaper sponsor distribute only 12% of their publication to Queensland. The new BPF committee has also raised a few eyebrows when they decided to reject the offer of a free venue to host an event in June and instead chose to commit an estimated $10,000 to hire and fit out a venue instead. Further to this, QNews received complaints that BPF committee meetings have ostracised some of the more respected brains trust of the committee, causing them to resign. Their dwindling committee also has no active lesbian participation at all. QNews will revisit BPF next year and hope a new committee will bring new ideas energy to this long running festival. We also hope that BPF remains independent and is not taken over by another group or southern interests. the sponsorship up across our regions and are proud of many achievements thanks to the support of our team. We will remain fiercely independent and we also deliver excellent results for those people and companies who support us through advertising. So next time you support one of our advertisers, please remind them you found them in QNews. is that QNews continues to be the most popular printed gay press to be picked up and is 10 times more popular at some distribution points. Thank you Queensland! FOOTNOTE: To set the record straight, QNews is a team of over 20 people who are mostly volunteers. Although we operate as a business only a few staff are paid, only fair as it is their full time job. The owner of QNews does not draw a wage nor profits. What we make gets pumped back into our community, with around 120 groups benefiting thanks to the generosity of our team.